Decided to draw Pichu since it's been a while. Given, this didn't turn out as well as it could have, I'm still happy with how it turned out:). 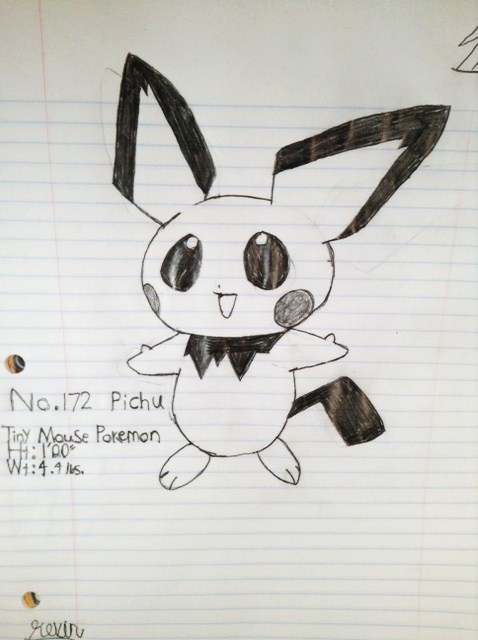 This is actually the best one of Pichu I've ever drawn. I used a Pokemon card I have as reference to draw this. Sorry for the odd lighting:/. This is a photo, not a scan. God I need a scanner XD.